The new series, Grantchester, based on the first book in James Runcie's Sidney Chambers series, Sidney Chambers and the Shadow of Death begins on ITV, Monday 6 October at 9pm. Happy Valley actor James Norton will star alongside Robson Green for the six-part series, which is set in 1950s Cambridgeshire. Adapted from the novel, Sidney Chambers and the Shadow of Death by James Runcie, the series is written for ITV by Daisy Coulam, who has previously scripted EastEnders and Casualty. Set against the backdrop of the real hamlet of Grantchester, the drama focuses upon the life of Sidney Chambers (Norton), a charismatic, charming clergyman who turns investigative vicar when one of his parishioners dies in suspicious circumstances. Soldier Soldier star Green plays plain-speaking, over-worked police inspector, Geordie Keating, whose methodical approach to policing complements Sidney’s more intuitive techniques of coaxing information from witnesses and suspects. 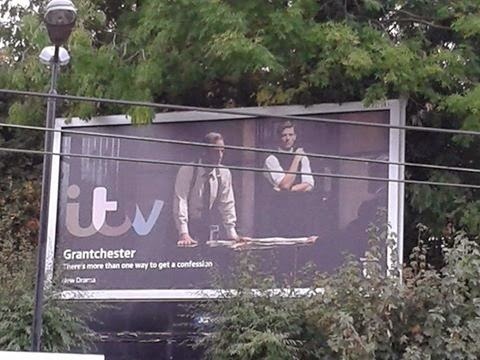 Executive Producer Diederick Santer says of the series: “Grantchester is a real labour of love for me and [production company] Lovely Day. 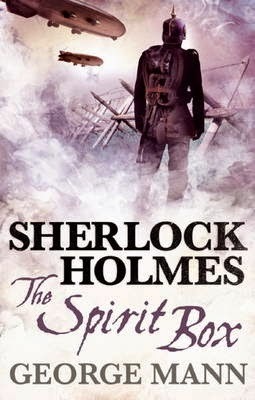 Sidney is a charming, but complex character, a man of faith burdened by his past despite a distinguished wartime record, he’s funny, dashing and inquisitive. He loves being a parish priest in the exquisite village of Grantchester, but somehow it’s not enough and he still finds time to fall in and out of love and solve crimes. 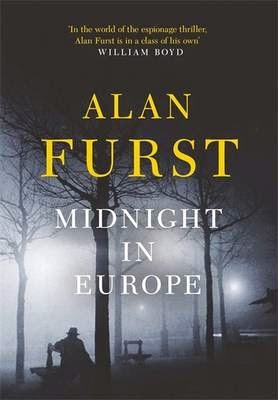 Here are nine reviews which have been added to the Euro Crime website today, three have appeared on the blog since last time, and six are completely new. 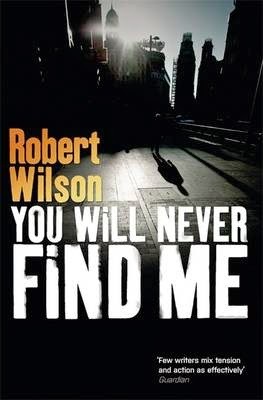 Terry also reviews Robert Wilson's You Will Never Find Me, the second in his Charlie Boxer series. 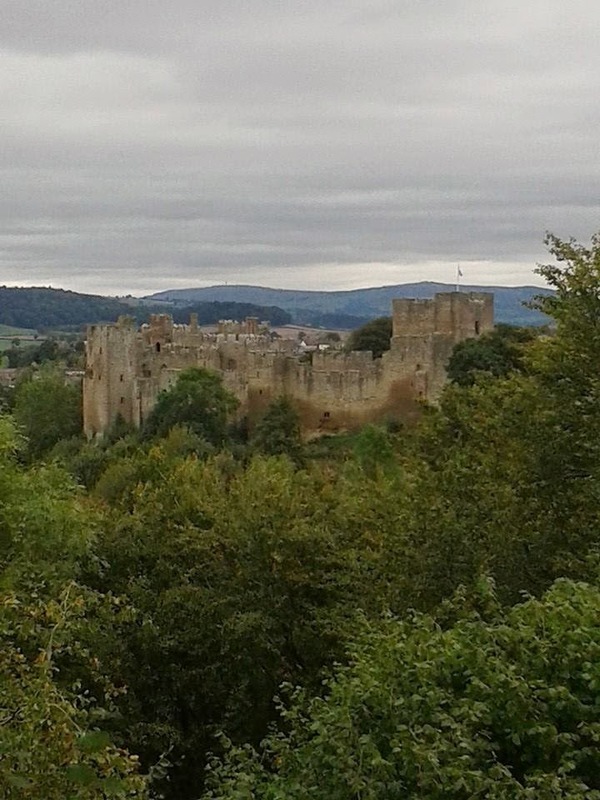 I have spent a lovely day today at Ludlow, exploring the woods, town and of course tea-rooms. I have been to the castle before so didn't go inside this time but I will again one day. 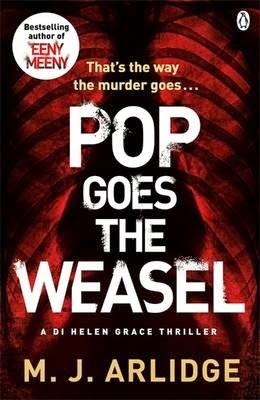 I only know of one crime novel set in Ludlow but do let me know if there are more. 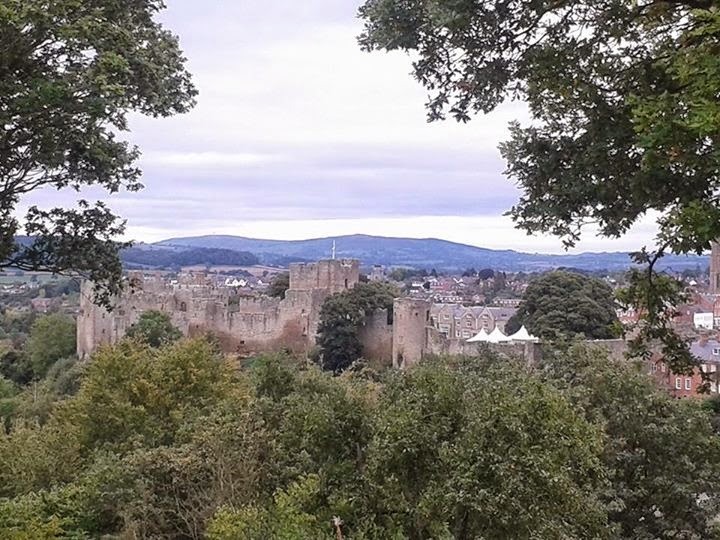 The border town of Ludlow has it all: exquisite medieval streets, an imposing ruined castle, a parish church the size of a cathedral and a weight of history and legend. Wealthy people, famous people, have come to Ludlow to live. A sad teenage boy comes here to die ... dramatically, at sunset, in a fall from the ruins. Accident or suicide? Either way, no great mystery. Or is there? Robbie Walsh was the nephew of former Detective Sergeant Andy Mumford, newly - and reluctantly - retired from West Mercia CID. 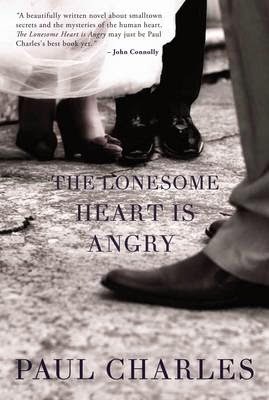 When Mumford's ailing mother becomes convinced she's still seeing her dead grandson in the old town, he brings in Merrily Watkins, parish priest, single mum and Deliverance consultant to the Diocese of Hereford. Is it dementia, delusion or something even more disturbing? Both scepticism and the dark underside of belief threaten Phil Rickman's engagingly open-minded heroine in this brilliantly structured, atmospheric thriller. 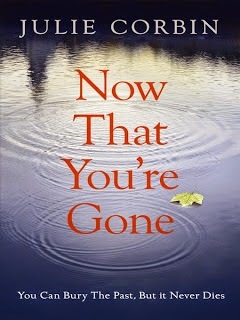 Set in Scotland, Isla’s life is turned upside down when her twin brother Dougie is found drowned in the Clyde in Glasgow. Isla can’t accept that her brother, an ex-marine, could have died in such a banal way. He’d only had 4 pints to drink in a local pub and he should have been able to swim to safety after falling in the river. 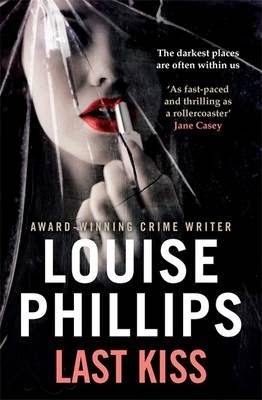 As he worked as a private investigator, she is sure that he must have put himself in danger possibly as a result of his investigation into the disappearance of a young girl called Lucy. She thinks that his death was more than simply an accident as the police have concluded and is determined to prove it. 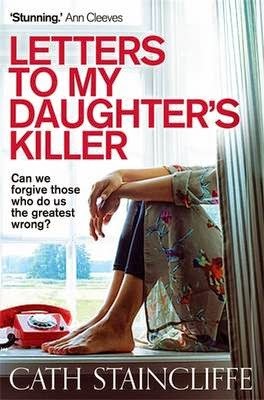 While the novel focuses on Isla’s attempts to get to the bottom of what caused Dougie’s death, the real story is about her life, her relationship with Dougie, her sister Marie, her parents, and her own children and ex-husband, and how she starts to re-evaluate aspects of those relationships. It’s also about her coming to terms with the shock of Dougie’s death and its unexpectedness. It was such a stupid and avoidable death, and she has to discover that there was something more to it as a way of giving his death more meaning. Her investigations lead to her making discoveries about Dougie, uncovering some of his secrets and learning things about him and his life that she didn’t know or realize. A short, excellent read that manages to capture the sense of loss when someone close dies, and the sense of desperation to make sense of it all. 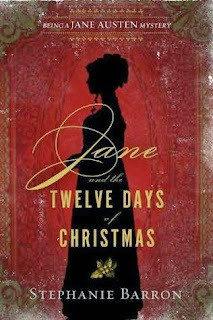 Jane, however, discovers holiday cheer is fleeting. One of the Yuletide dies in a tragic accident whose circumstances Jane immediately views with suspicion. If the accident was in fact murder, the killer is one of Jane's fellow snow-bound guests. With clues scattered amidst cleverly-crafted charades, dark secrets coming to light during parlor games, and old friendships returning to haunt the Christmas parties, whom can Jane trust to help her discover the truth and stop the killer from striking again? And in July 2015, Mr and Mrs Darcy return in Carrie A Bebris's seventh book in the series, The Suspicion at Sanditon (Or, the Disappearance of Lady Denham), no blurb available yet. The response was staggering. With 1,384 people voting for 636 different authors, the longlist highlights the extraordinary quality and variety in crime writing. Unlike most other literary prizes, the Dagger in the Library honours an author’s whole body of work to date, rather than a single title. Hodder & Stoughton will publish the complete crime backlist of Dorothy L. Sayers as digital audiobooks. World rights excluding the USA were acquired from Georgia Glover of David Higham Associates. Hodder will publish 16 titles over the course of the next year beginning with the first Lord Peter Wimsey novel, Whose Body?, on September 18th 2014. Hodder will publish one title a month with the final title being published in December 2015.
and Mark Bailey reviews Kerry Wilkinson's Crossing the Line, the eighth in the DI Jesica Daniel series set in Manchester. Constable has acquired world English language rights in WHITEWATER CHURCH by Andrea Carter in a two book deal. 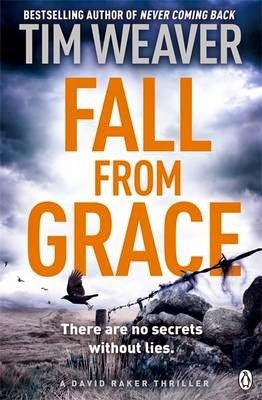 WHITEWATER CHURCH is the first of a crime series set in a small town in the beautiful and remote Inishowen Peninsula in Ireland. 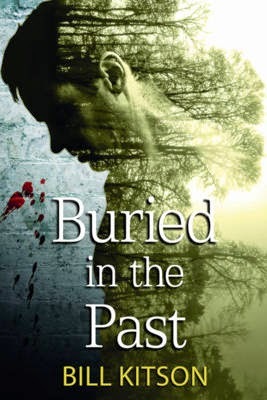 When a skeleton wrapped in a blanket is found in the secret crypt of a deconsecrated church, local solicitor Ben (Benedicta) O'Keeffe finds herself drawn into the dark secrets of a rural community, as she negotiates between the official investigation and obstructive locals to uncover the truth of what happened. Andrea Carter is a barrister living in Dublin. She lived and worked in the Inishowen Peninsula in County Donegal as a solicitor for a number of years. WHITEWATER CHURCH was one of the winners of the 2013 Irish Writers Centre Novel Fair and received an Arts Council of Ireland Literature Bursary Award. Constable will publish in Autumn 2015. Read the whole article at Book Trade. This is the eighth in the series of novels featuring Jessica Daniel (now a Detective Inspector) but is being pitched as the start of 'Season Two' as a signal that new readers can get on board comfortably without missing a lot of what is going on. There are two main story elements here, the first starts right in the first chapter of the novel when a masked attacker begins a reign of terror by throwing acid in the face of a councillor (local politician) during a visit by the Home Secretary. This reopens a wave of media nostalgia as it is the twenty-fifth anniversary of the attacks of the Stretford Slasher - and that is the second main story theme. Running along with these is the personal situation of Jessica Daniel and her friends, especially her colleagues Izzy Diamond and, to a lesser extent, Esther Warren. 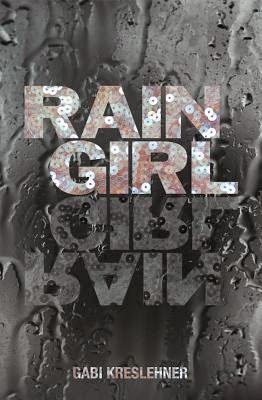 This is the first Jessica Daniel book that I have read and I was able to get up to speed with the character and her work and social situation very quickly so this is a good place to start the series. Having said that, I did enjoy it so much I bought all the earlier books in the series as e-books. Why did I enjoy it – well Jessica Daniel is an engaging lead character and is developed by the author during the novel so you do get to know her. The supporting characters are also developed and they help to drive the plot along. The plot itself is coherent and makes sense – there are no wild leaps of logic. My only real niggle when finishing the book, and the author does admit this in the afterword at the end, is that this novel does "feed into" the next novel, SCARRED FOR LIFE, which isn't out until next January. 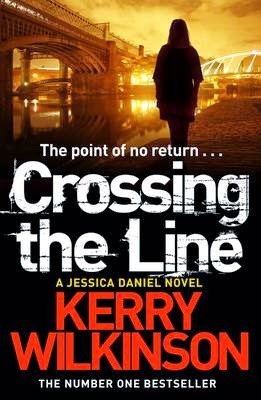 CROSSING THE LINE is a good quality police procedural from an author that I will be following from now on. Associate Crime Editor Katherine Armstrong bought UK, Commonwealth and European rights, excluding Canada, from Kate Burke at Diane Banks Associates for THE DARK INSIDE and an as-yet-unnamed second book. Reynolds is a recent graduate of City University's first two-year Crime and Thriller Creative Writing Masters course. Faber will publish THE DARK INSIDE into trade paperback and eBook formats in summer 2015. Margaret Stead has bought world rights in Kate London's debut crime novel Post Mortem as part of a two book deal. Until August 2014, Kate London was a detective constable in the Metropolitan Police's homicide squad, and a serving officer with the Met for 8 years. Post Mortem opens with a teenage girl and a police officer falling to their deaths from the roof of a London tower block. The investigation that follows tests the morality of all those involved and examines the inner workings of policing the capital. Corvus will publish Post Mortem in August 2015. Margaret Stead comments: "Kate London is an exciting new author for Corvus. Post Mortem is an utterly gripping crime novel, grounded in the reality of how London is policed, by an author who has walked the beat. At the heart of Post Mortem are two wonderfully drawn women characters, police officers who negotiate the fine line between right and wrong in order to serve their city, and who will form the basis of a series. We are delighted to be publishing Kate." This book is superb! A chilling and original storyline about nature versus nurture, it has you hooked right from the very first page and keeps you guessing almost to the end. 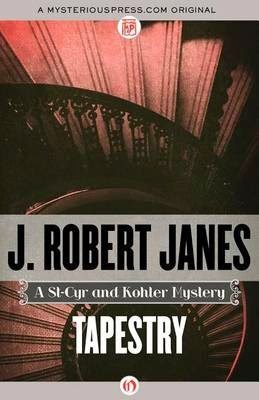 The way the mystery killer tells their side of the story to the reader in the first person, while the rest is told in a more usual second person, only adds to its intrigue. There are a couple of hints of possible identities for the guilty party along the way and I particularly enjoyed how, at a certain point, you are told that while you might think you have worked everything out you should rest assured that you haven’t. 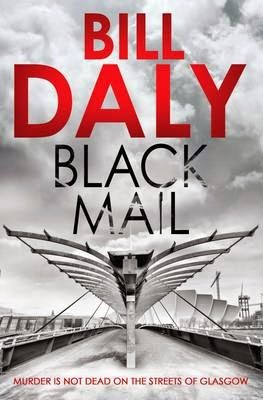 Set mostly in Dublin, the book opens with a rather nasty murder. Not only is it a rather frenzied killing but the murderer has also taken time after the act to arrange the body into a copy of the Hangman image from a tarot card. There is also a smudge of lipstick on the dead body’s lips – a final trademark of the killer. Meanwhile, somewhere else in Dublin, we are introduced to Sandra; a very shy and insecure woman who is sure her handsome husband is having an affair and is having a hard time convincing her friends that she isn’t making things up. She is also convinced that she is being followed, and it looks as if our mystery killer, having found their next victim, is getting ever closer. If you like books that are a fairly quick read and don’t mess with your head but do keep you hooked then you are really going to love LAST KISS. It has an ending that you just can't see coming, even if you do manage to work out who the killer is. 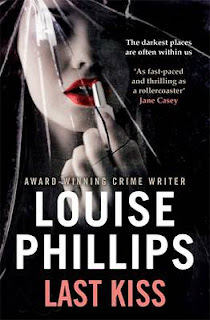 LAST KISS is the third novel written by the talented Louise Phillips. She is definitely a name to look out for. In the early hours of the morning DI Mark Tartaglia is sent to a London hotel to investigate the murder of a young woman. When he recognises the victim, the case takes a dark and personal turn. Another case he has been investigating - the body of a homeless man found in a burnt out car - is also not what it seems. Tests reveal that the body has been assembled from the parts of four different people. Tartaglia now has a far more macabre puzzle to solve. With the clock ticking, and torn between the two investigations, he must decide where his priorities lie. 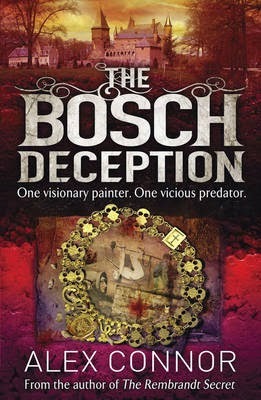 The previous (and third book in the series), Evil in Return, was published in 2010. When a consignment of illicit diamonds en-route to London vanishes, together with the couriers. It isn't long before East End gangster Max Perry is found dead, having suffered some horrific torture. Accused of killing a rival, Max's nephew, Ray, is sentenced to life in prison. He is released twenty-five years later and is heading for Helmsdale when he is the victim of a terrible hit and run, but DI Mike Nash is convinced it was no accident. 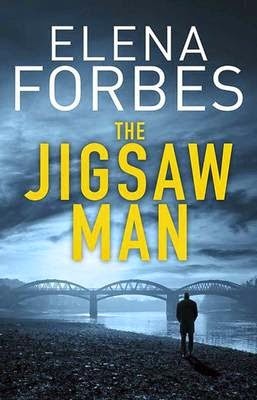 Following the murder of a garage mechanic, Nash discovers a link to an unidentified skeleton found years ago in the Helmsdale woodland. How do crimes committed long ago in London connect to the current wave of violence in Helmsdale? As the body count rises, the detectives struggle to keep pace with those who would prefer the truth to remain dead and buried. 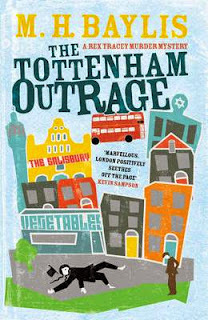 The very tight plotting of this excellent story provides the colourful conversations and banter between the various superb characters that the author peoples his books with and which make it so realistic and that one can identify with from whichever work experience one comes from. 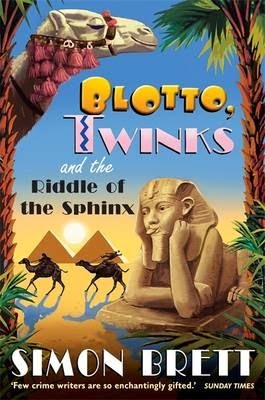 The storyline follows several different threads, which requires some concentration, but eventually they will all combine in the gripping conclusion to this fascinating book. As in previous books of his that I have reviewed namely DEPTH OF DESPAIR (2009) and BACK-SLASH (2011) once you start a Bill Kitson book they are unbelievable difficult to put down and I had great difficulty in closing this one also, until I reached the exciting conclusion. 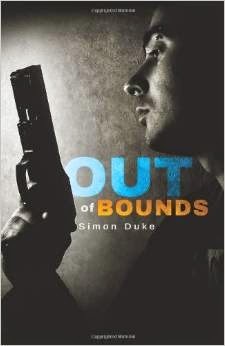 The author has published six previous stories in the DI Mike Nash series and I understand he also writes historical fiction and lighter stories set in Greece under the pen-name 'William Gordon'. I will certainly look out for them in the future. If you want to read a book that once started you won't want to put down then buy this one. Recommended. The masters of intrigue, suspense and murders most horrid are honoured in shortlists announced today (2nd September) for the Specsavers Crime Thriller Awards 2014, held in association with the Crime Writers’ Association. The awards will be the culmination of a six-week Crime Thriller Club series, which starts on ITV3 on 15th September, with the winners of 11 awards honouring TV, books and film announced at the Specsavers Crime Thriller Awards on Friday 24th October at the Grosvenor House Hotel, London. This September is ITV3 Crime Thriller Season, featuring a TV series dedicated to crime writing. The Crime Thriller Club (sponsored by Specsavers) will, each episode, feature ‘Living Legends’ - a series of interviews with bestselling authors in the world of crime and thriller fiction. Authors interviewed this year will be Dean Koontz, Denise Mina, Robert Harris, Val McDermid, Michael Connelly and Lynda La Plante - who will all be members of the CWA Hall of Fame.